This morning something came up in a FB group that let me know some people have a complete misconception of what I do when I make bonnets. I do not use pre-sewn hats, nor hat forms. I do not cut-down, nor reshape pre-sewn hats. I do not reblock pre-made hats or hat forms. 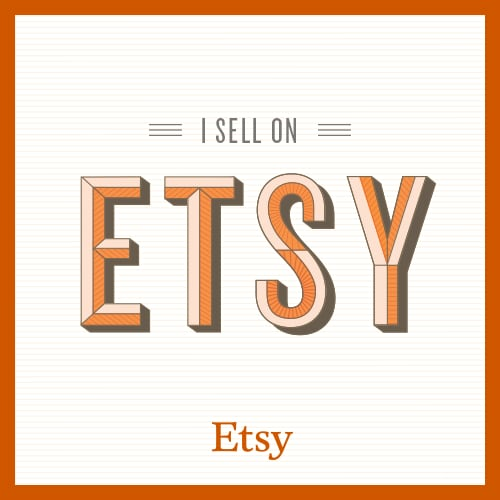 I do not use synthetic thread. I do not machine sew straw. 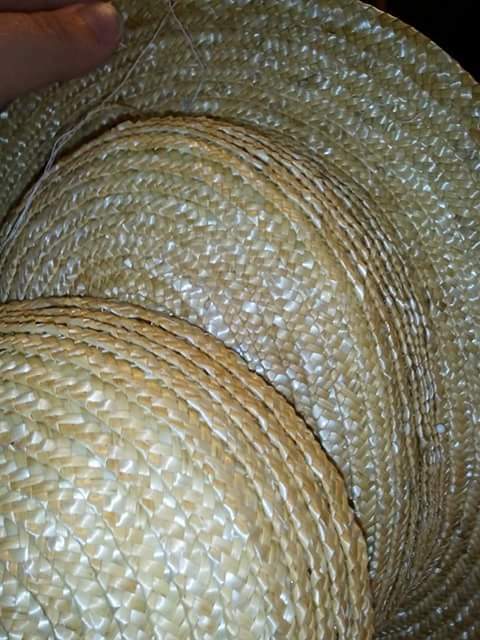 I work with straw plait in a variety of widths ranging from fine to coarse, a quarter inch (fashionable) to three-quarters of an inch (coarse.) These straws have included Milan, French and a British straw among others. The image to the right shows a comparison of the coarse straw and a nicer Milan straw. 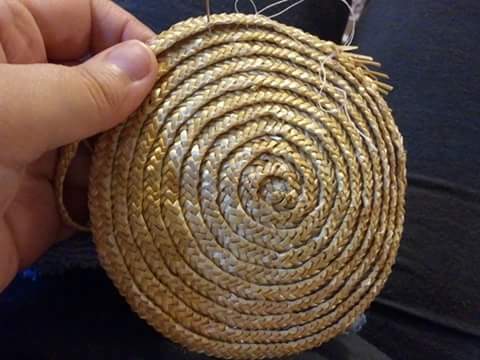 I hand shape and sew each row of plait with 100% cotton thread. 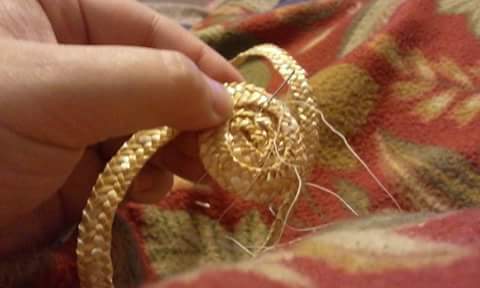 I develop the shape of each hat and bonnet by adjusting the curve and tension of the straw. This is how I get different brim heights and shapes. 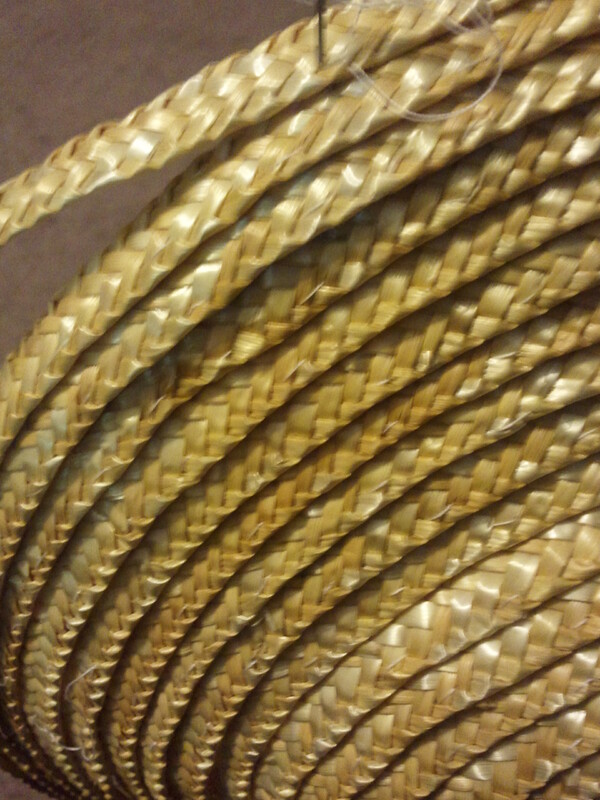 I also bend the straw to make it around the curves and corners found in the different eras I am working with this year. 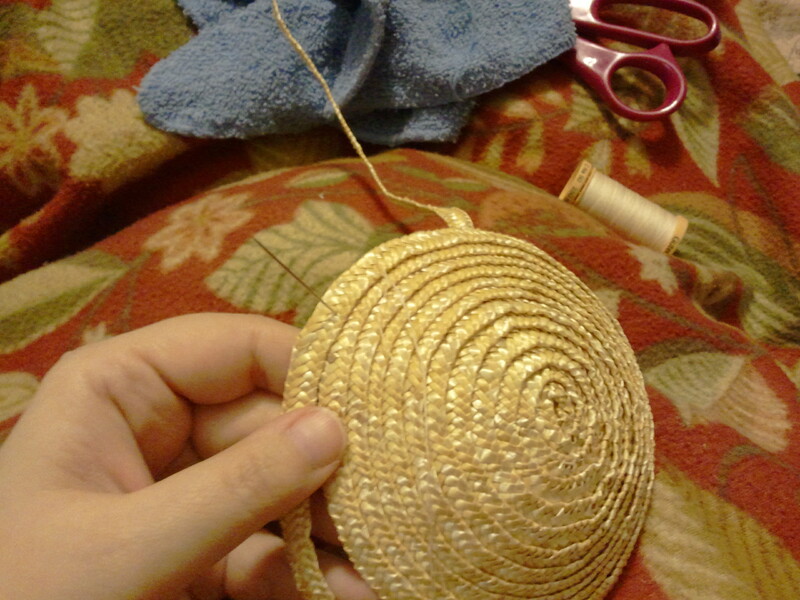 I wire each bonnet and hat by hand, again with 100% cotton thread. I block and size each piece by hand using one of two sizings. For some pieces I have carved blocks to aide in the shaping. 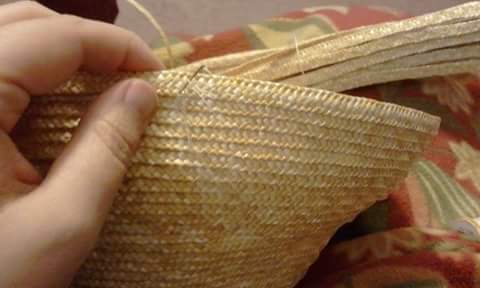 It takes approximately 6 to 7 hours to sew a small hat and 7 to 9 for a medium size hat, while most bonnets take between 8 and 12 hours with some more unique shapes or larger bonnets taking longer. Some pieces are blocked all at once at the end while others I am trying to get particular shapes in are blocked in stages. With humid summer days, it can take over 24 hours of drying before I am comfortable photographing or shipping a piece. See the different straw shapes I have developed based on originals this year in my 2015 Shape Gallery. What you do do is make beautiful bonnets. I’m just tickled I finally managed to score one. 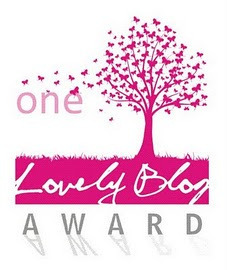 I’ve always been amazed with the little bit I knew of the process. To see you detail it by step, just increased my appreciation. This is what makes your bonnets true works of art.